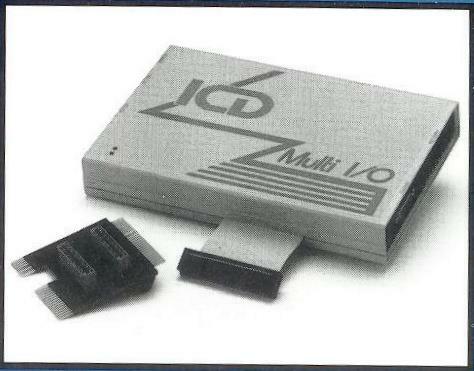 I recall there being a 90 degree cartridge port extender for the XE models, but have been unsuccessful in finding it. I am aware of the dual switching cartridge port extender, but am just looking for a single port unit. Was there ever one designed? 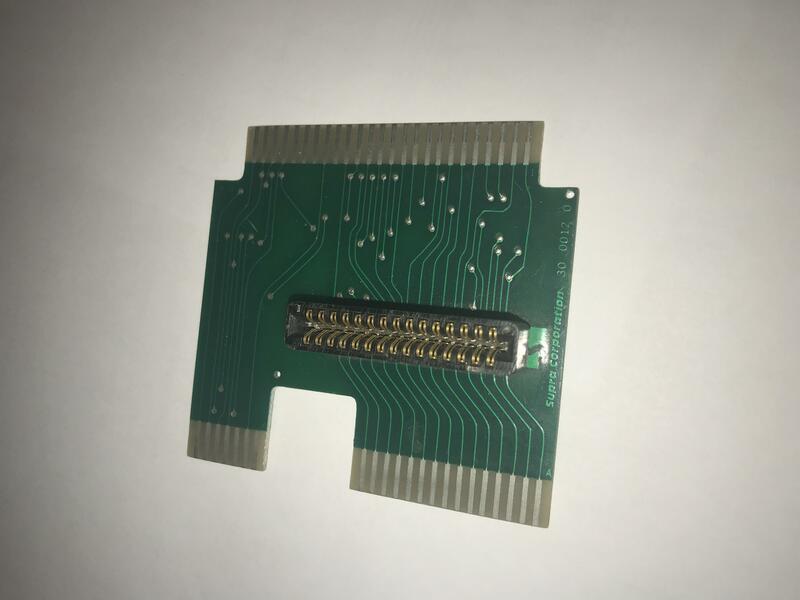 your probably thinking about the supra or icd eci/pbi cards with cartridge connector(s) on them depending on which version you would buy. Edited by _The Doctor__, Mon Feb 25, 2019 10:04 PM. Here's a picture of the ECI to PBI adapter for the MIO from the 1990 ICD Catalog. Good luck finding one nowadays though. I lost mine, but I was able to use dropcheck's adapter to get my MIO working with a 130XE again. But only 1 cart port works at a time, so can't use say SDX and an R-Time 8, 1 in each slot simultaniously like the ICD one. 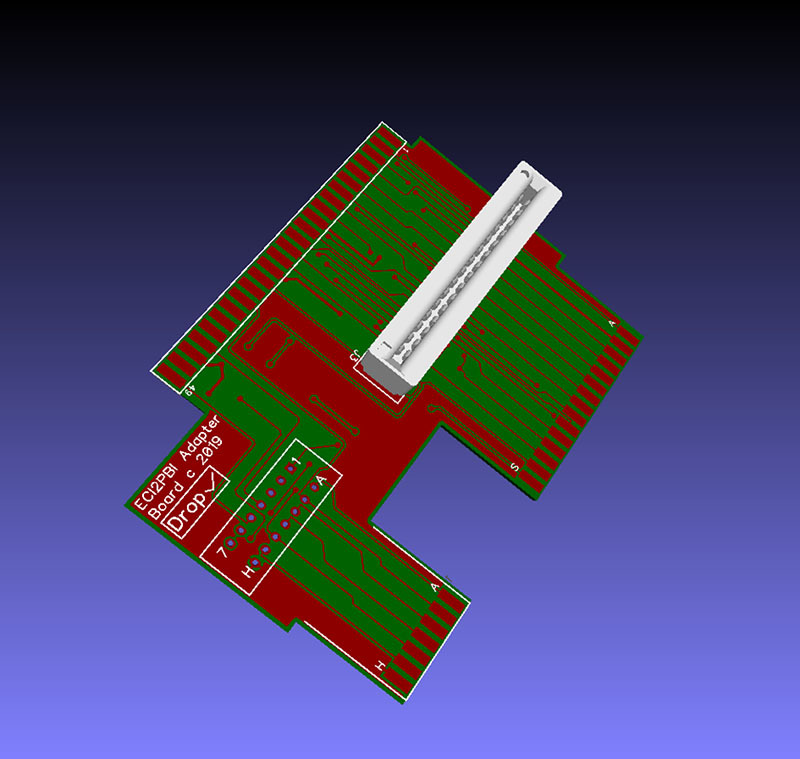 It might be very easy to re create one, since it looks like a PCB and one edge connector, that it, right?.. or I am wrong? Maybe someone can upload the design to oshpark.... Or is it too much to ask? I'd do it but my kicad skills are very limited. It is. Well, it's a PCB with two connectors on it. I bought one years ago from ICD. If somebody wants to recreate it, I'd add some solder points for the unused pins on either side. My MIO ECItoPBI had two big rubber feet. Need to get some like that for the adapter I have from Dropcheck. That board doesn't appear available on her website anymore. is it the same, or modified? interchangeable? need more convenient way of getting at the information. sifting through pictures/schematics to see how they do or don't match up isn't an at a glance affair. Edited by _The Doctor__, Wed Feb 27, 2019 6:31 AM. The 1090XLR ECI2PBI is not actually a standard converter. It was meant to be used with the 1090XLR since it doesn't have all the standard 130XE/800XL signals where they are supposed to be. I can work up a bog standard single RA cart 130XE extension. All it will do is put the cart connector at RA to the original orientation. If you want the full pass thru connections now you start getting into the possibility of bus contention depending on what's connected to the 'second' cart connector. What has been shown in previous posts is a ECI2PBI converter. Completely different animal. But that can be done as well. Give me a few hours. Edited by Dropcheck, Wed Feb 27, 2019 7:04 AM. As far as I know, with ICD's ECI2PBI with 2 cart connectors, only the RTime8 could be plugged in at the same time as another cart. Anything else would have to go on top of say, spartados X which could switch them on and off. My recommendation is the 2 cart port version, the rtime8 never leaves the slot it is in, my spartados x cart in the other slot can be switched off, or a side/avg can still be running on top of the switch off sparta cart, you can have other switched carts in on the rtime8 and still access the drives on the avg/side. I have different version of sdx and switches on the carts and oss carts, it just works in the straight up two cart port version. It really take up no more space, you don't have to use both if you don't want, but it is more convenient, it prevents stress on connectors from stacking too high... you can see your monitor instead of carts. It only changes price by 2 dollars give or take to have both. My dream is a combined eci2pbi with two slots including eci headers, a switch on port two allowing the selection of normal straight thru connect(like icd/supra), a cart off but pass thru for side/avg/rtime8 position, including the ability to shut off one connector or the other completely when needed. Edited by _The Doctor__, Wed Feb 27, 2019 8:16 AM. 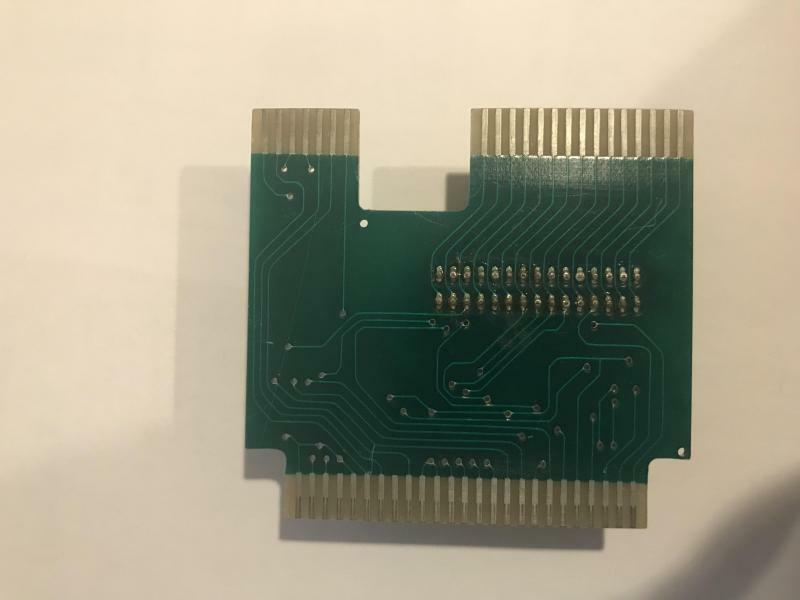 On the Supra single RA cart ECI2PBI has anyone traced ECIBottom pin 3 and ECITop pin A & C to its none/connection to the PBI side? I'm talking about the secondary connector the 2x7. Edited by Dropcheck, Wed Feb 27, 2019 9:46 AM. Edited by _The Doctor__, Wed Feb 27, 2019 11:20 AM. another switch to allow pass thru on disabled or off cart so the ide/sd.whatever device can still operate. I do this current using super spartados x switch and oss multi carts as my switchers... would be nice to do it with most other carts. else a two cart supra icd combined clone would do it for me on the cheap choice..
halt/ready.... is rattling around in my head.... I am not sure but think C went to 36 on some devices... I bet Curt has something to correlate that with the expansion/pbi/buffer information somewhere. On a XE/XL you can't have two carts enabled at the same time. The only exception that I know of, and it's not really an exception because the R8 is not a true cart is the SDX and R8 carts. Any other cart stacked on the SDX cart is switched on/off by telling the SDX cart to run the cart or by exiting back to SpartaDOS if the stacked cart will allow it. Do you really mean a horizontal stacked SDX cart rather than a vertical stacked SDX cart? I'm assuming you mean a 130XE since I don't know of 800XL ide/sd devices that operate using the same cartridge connector. Most of them already have a pass thru connector. Not understanding what you mean here. 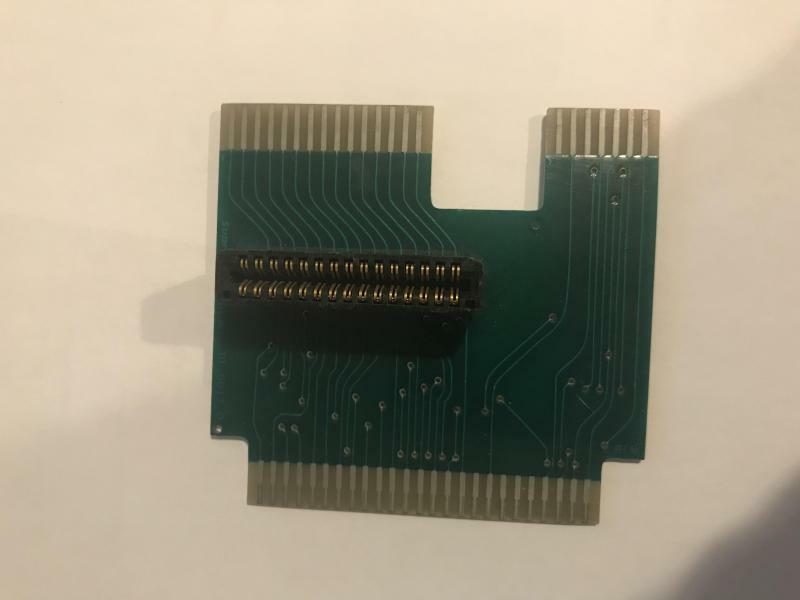 The original poster requested a source for a RA cartridge connector. I am assuming the poster is using a 130XE machine. Here's a possible option. It contains a complete RA 130XE Cartridge and ECI port and adds the PBI converter. If the PBI converter is not needed then it can be left off the design. One might also use a SIDE cart only for the CF adapter (with the ROM switched off) alongside another cart, which isn't normally possible.